Left: Unsigned. Unattributed. 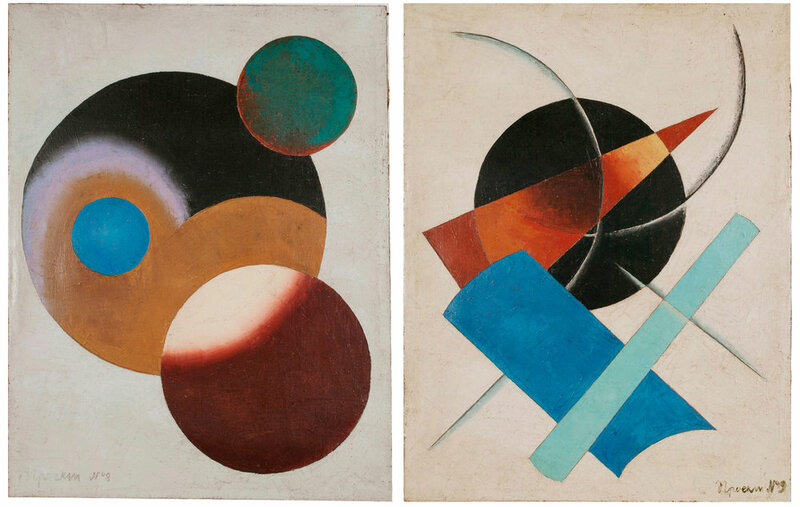 In the style of El Lissitzky. Text in Russian, lower left front, translates to “Tab .1”. Oil and collage on canvas. 40 x 30 cm. Right: Unattributed. Unsigned. 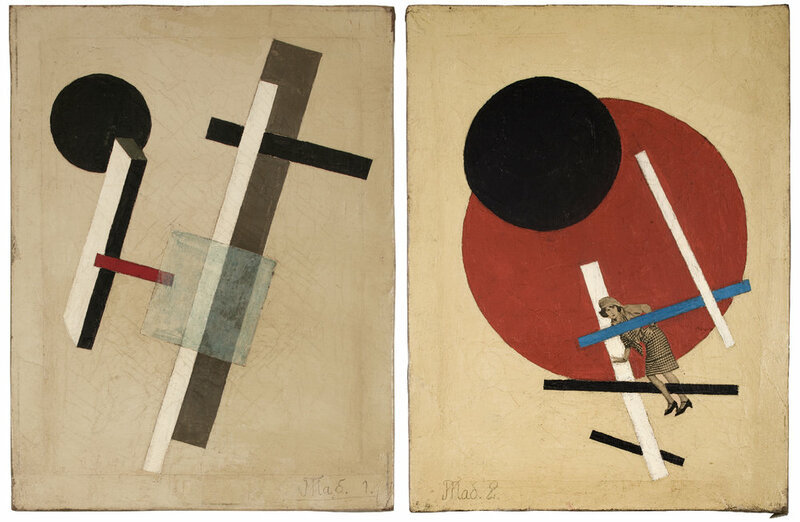 In the style of El Lissitzky. Text in Russian, lower left front, translates to “Tab.2”. Oil and collage on canvas. 40 x 30 cm. Left: Unattributed. Unsigned. In the style of Alexander Rodchenko. Text in Russian, lower left front, translates to "Project No 8". Oil on canvas. 65.5 x 50.5 cm. Right: Unattributed. Unsigned. In the style of Alexander Rodchenko. Text in Russian, lower left front corner, translates to “Project No. 9”. Oil on canvas. 65.5 x 50.5 cm.